We all have our own set of assumptions about careers and parents, friends, teachers, media etc play a vital role in setting up of these assumptions. We may work with some career assumptions which in the long run become Career Myths and they might hold us back. Career Myths may also lead us to dismiss some good career options which not only match with your strengths but also pay well. Here are some of the myths that we have and let’s talk about how we can debunk them to have successful careers. 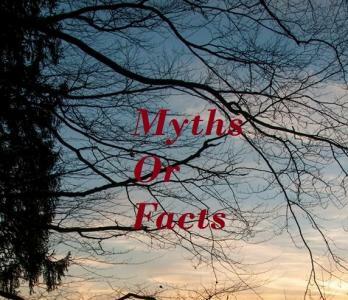 Some of these myths are around some professions and there are some general myths. 1. Choosing a career is easy. This is perhaps the biggest of all. We think since somebody is doing so well in “A” career that will be a good option for me also. But that is far from the reality. We are all unique ( Not only in terms of our genetic makeup but also in terms of our aptitudes, personality, interests, life situations and thus what is best for somebody may be worst for me. 2. It is all about money. People feel that if they are getting paid well they can do any type of task and try to rationalize their career decisions like I am getting such a fat salary. But for how long? There is enough evidence to suggest that people who get paid well are those who do their job well, which requires that they are cut for that and that is why they can perform consistently better compared to others. So spend some time and effort in finding out what is right for you. May be take an aptitude test to know about your strengths may not be bad idea. 3. And then there are myths around some professions like Teachers do not earn well or librarians are boring and book worms. While data may suggest otherwise. Government school teachers earn a decent salary and have many benefits attached to in their career. Librarians these days are information managers and are tech friendly and they have very good working environment. So if you come across myths that are associated with certain careers, collect more information before taking any decision. 4. There some other classic myths like Lawyers represent cases in courts (While they do that but LLB course leads to many other jobs also). Like that we may do the same course but may choose our area of specialization and area of work. 5. Another Career myth is that Career decision is a onetime decision. You get into the right course / best college and you are done. Right? Wrong. In reality Career decision making is continuous process and far from this myth one needs to work really hard in college life, complete the course requirements, learn, clear the campus recruitment process and then comes the job. 6. Another Career myth is clearly visible when students come and say that I want to this, that, that and that and tell me one career option where I can do all that? While there are some career options which are more challenging as compared to other career options and utilize a lot of aptitudes but one career option that uses all aptitudes is difficult to find. So one should think about a mainstream career which best utilizes one’s capabilities and utilize other capabilities and interests in voluntary work or may be by having some hobbies etc. 7. Another career myth is that some jobs are very easy and anyone can do that. The reality is that they may appear to be very easy but are actually not. Like career of an Airhostess/ Flight steward looks easy (what you have to do smile and serve snacks, isn’t it) But no. Serving snacks is easy but dealing with unruly passengers, handling emergencies, managing erratic work schedules are all done by them. Any takers? So we can see that there are so many career myths and debunking them is important to save our careers from derailing. Begin with knowing yourself and choosing the right stream/ course. There is no one best career for you…but you may be suitable for many careers. So take help of career counselor who can tell you about your Aptitude and personality combination and its suitability for some good career options. Prepare for career success. Get some information. Tell yourself I am not going to dismiss any option without considering it. You need to get more information about the particular career / course and college. Remember, if you learn by making all the mistakes yourself there will be very little time left to actually work and earn. So learn from others mistakes and take help of expert career counselors to make sense of that information and make the right career decisions.